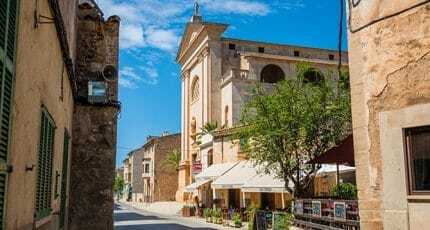 The upbeat coastal resort of Colonia Sant Jordi in south east Mallorca was traditionally a fishing village, but now has much more to offer than just seafood. 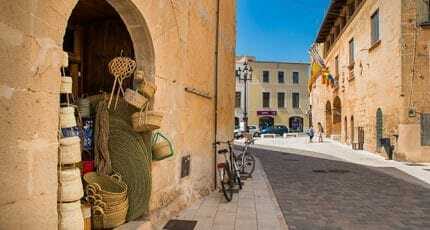 Situated on almost the southern-most tip of the island in the municipality of Ses Salines this village attracts an active, sporty crowd of visitors. 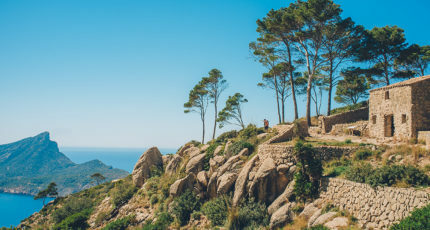 Making the most of all the natural wonders which surround this unique town is only a step away with our abcMallorca guide to the very, best that Colonia Sant Jordi has to offer. With evidence of settlements from the Bronze Age, Colonia Sant Jordi (also known as San Jorge) was valued by the ancient Romans for salt production – which is still celebrated here every year in August. It also has the only hot springs on the island of Mallorca which can be found at a nearby hotel. 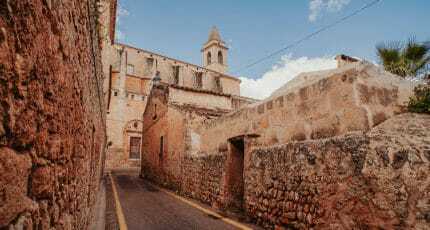 Today the town relies heavily on tourism and many modern high rise buildings are interspersed with traditional stone townhouses. There are many things to see and do in the surrounding areas, particularly during the holiday season. 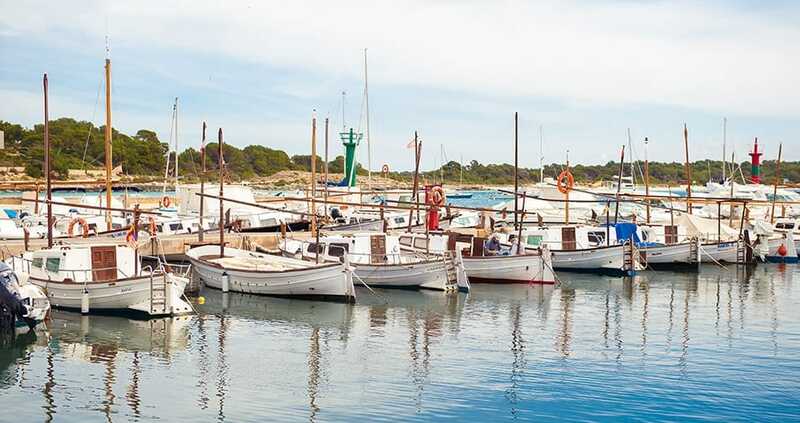 Colonia Sant Jordi has a number of beaches to choose from including the busy Platija d’Es Port by the main marina and the quieter coves of Es Caragol, Es Carbo and Ses Roquetes, which are well-sheltered offering calm waters and protection from the wind. You can satisfy your basic day-today shopping needs and hunt for souvenirs in the town. The local market takes place every Wednesday. 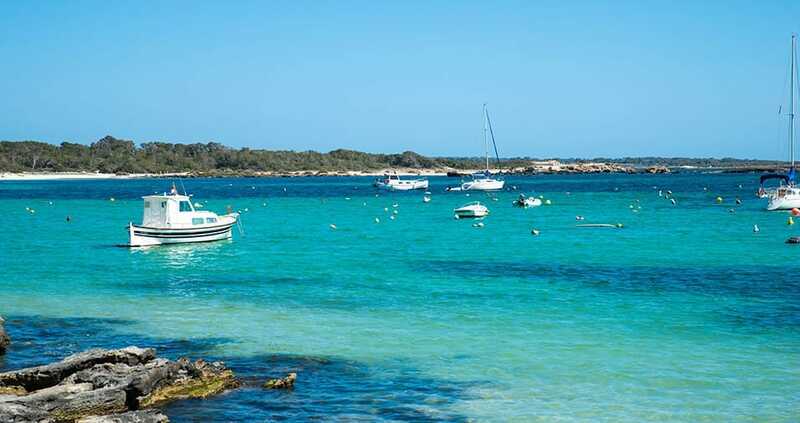 Colonia Sant Jordi is blessed by its proximity to several major natural attractions in Mallorca. 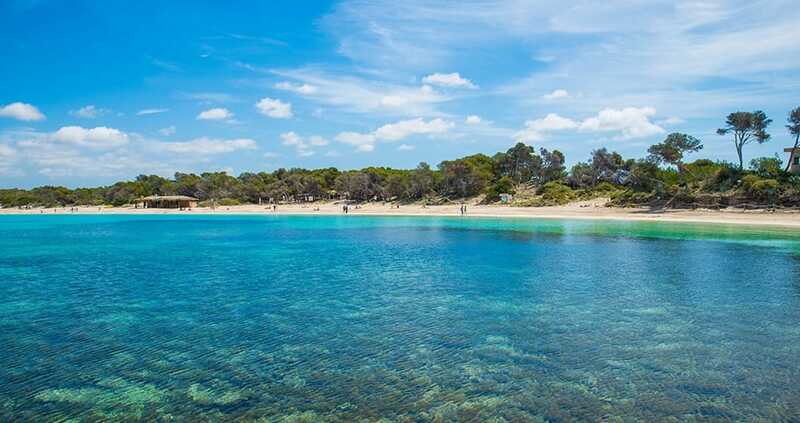 In particular the 3km long unspoilt beach of Es Trenc and the national park and marine reserve of Cabrera which is an archipelago of small islands just 10 kilometres off-shore. Cabrera is uninhabited but was once used to hold prisoners during the Napoleanic wars in the early 1800s, most of whom, tragically died. Its protected status now makes it an ideal place to visit if you enjoy seeing abundant marine life. The Mondrago National Park is also within easy travelling distance and attracts nature lovers and bird watchers. 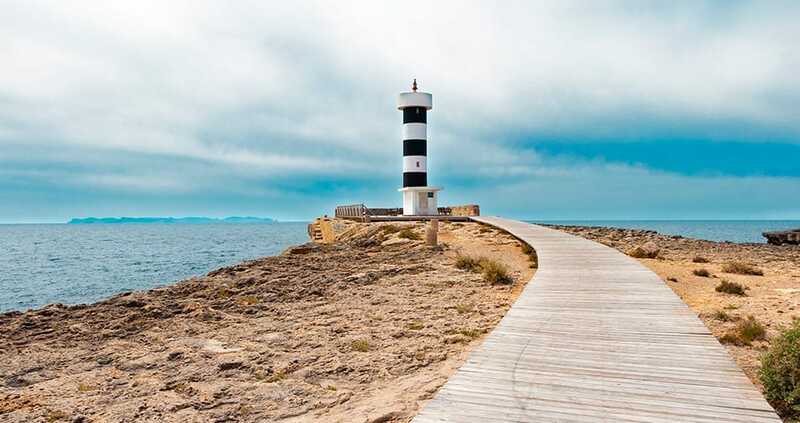 There are also exceptional beaches and stretches of coastline at nearby Santanyí and S’Estanyol de Migjorn. There are also a surprising number of sports facilities in and around the town. Colonia Sant Jordi attracts many athletes including competitors for the famous ‘Iron Man’ triathlon and competitive swimmers. 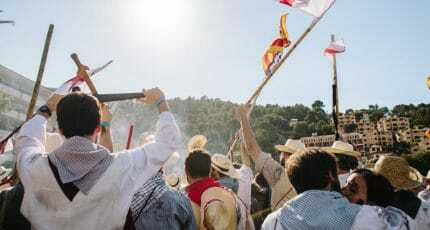 Colònia Sant Jordi does have some nightlife, but is not as club-orientated as the nearby town of Cala d’Or. You are more likely to find active holiday makers enjoying hiking, biking, watersports and sight-seeing. The south east coast of Mallorca is particularly blessed with caves, inlets, coves and islets, so there is much to explore for sailors, wind surfers, snorkelers and scuba divers. A day trip to Cabrera by boat is a popular option, as are scuba trips to this protected national park. 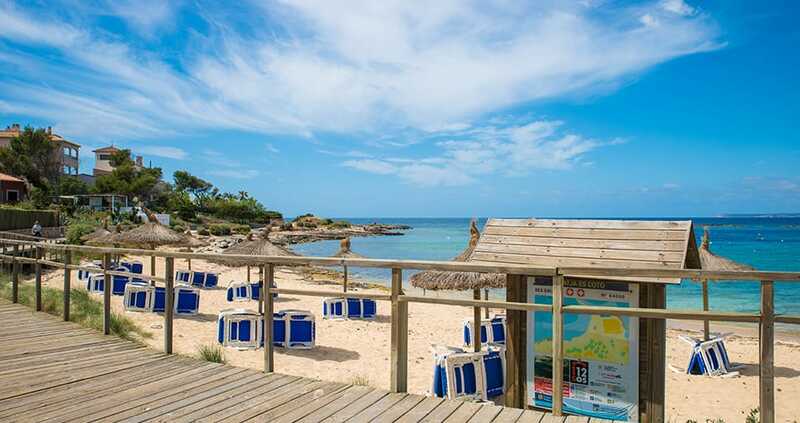 There are also regular buses and daytrips to the beautiful beach of Es Trenc. There are excellent sports facilities in the area including an Olympic sized swimming pool. 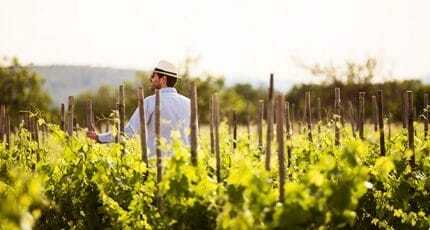 The second largest wine region in Mallorca is not far away and is centred around the town of Felanitx. Tours are available to local vineyards. 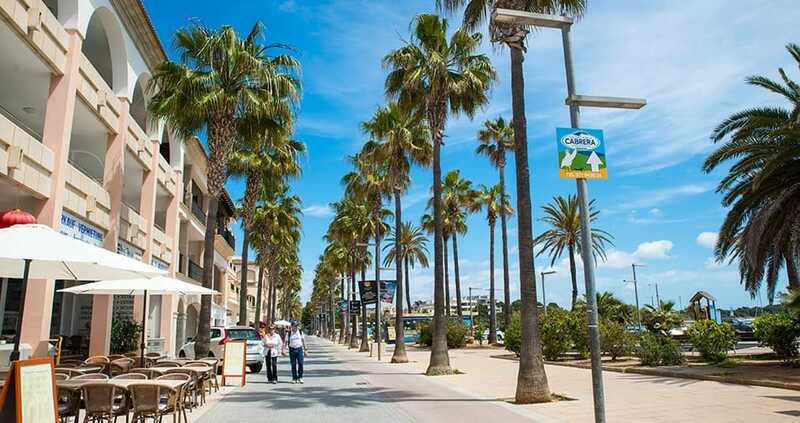 Colonia Sant Jordi caters well for tourists and has an excellent selection of bars, cafes and restaurants. 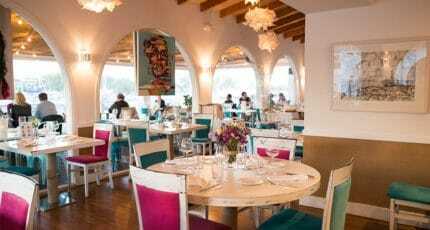 As well as a regular Thursday night tapas trail with many venues taking part, there are also a number of very well-regarded restaurants both within the town itself and in the surrounding countryside. 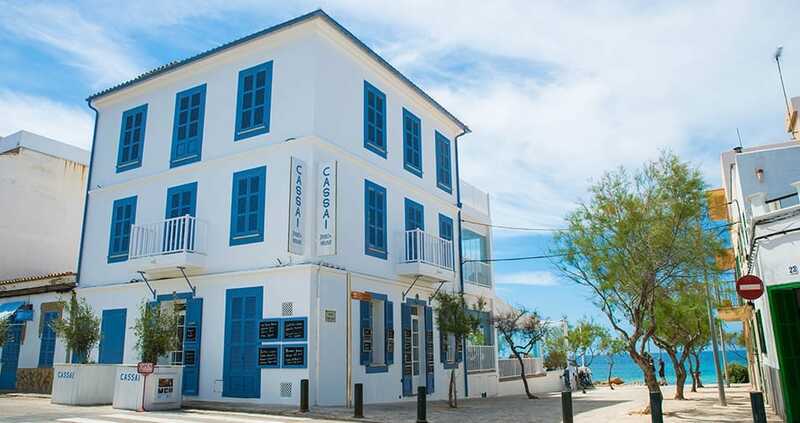 Colonia Sant Jordi is very much a holiday resort and has a wide selection of hotels to choose from. Those in search of a luxury lifestyle should head for one of the boutique rural hotels. 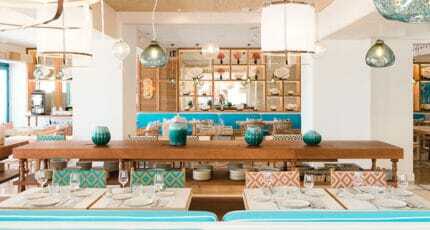 Hotel Coto is a hiffen gem offering the warmest of hospitality and an amazing restaurant. The Hotel Font Santa houses Mallorca’s only hot springs which can be enjoyed in its purpose built spa. 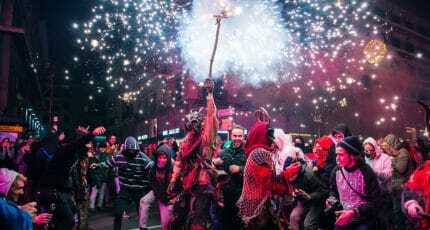 The festival of Sant Jordi, patron saint of the town, is celebrated on the 23rd of April. During the first weekend in August there is a summer festival and a demonstration of the traditional method of extracting sea salt. 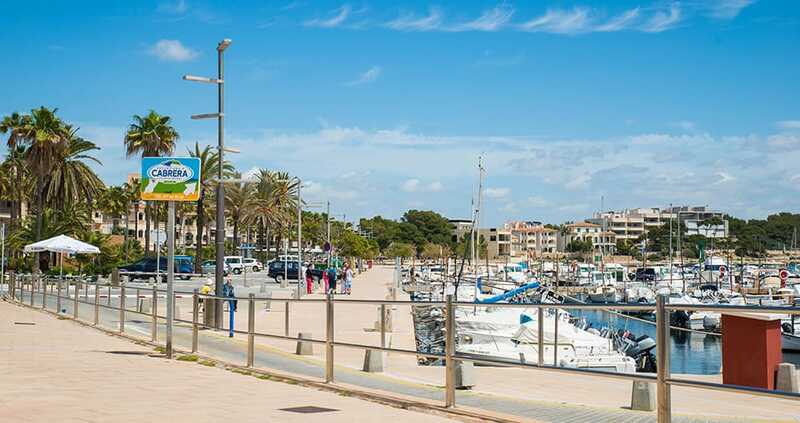 Colonia Sant Jordi enjoys a mixed, international community all year round, but as a tourist resort tends to be very quiet off-season. 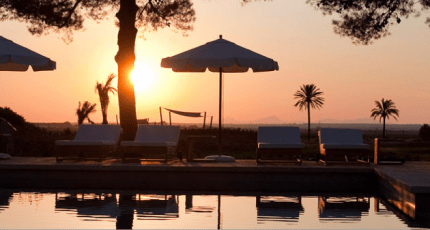 Living here involves the marked contrast of busy summers and quiet winters which is found in much of south east Mallorca. 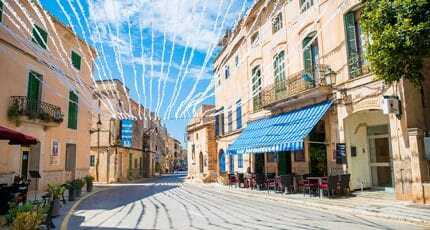 As such this area tends to be more popular for those looking for a holiday home. There are relatively few properties available for sale and these tend to be modern apartments and villas ranging from around 150,000 to 1.5 million euros. Occasionally a rural finca with an estate may become available and is likely to command a multi-million euro asking price. Colonia Sant Jordi is based on the southern tip of Mallorca and is close to the small towns of Ses Salines (also famous for salt) and Ses Covetes. Beautiful, rural Santanyi is close by as is the family-friendly beach resort of Sa Rapita and the historic town of Campos. 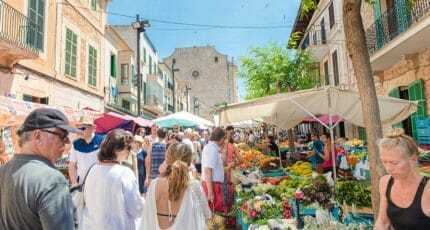 We hope you have found this article about the Colònia Sant Jordi useful and that you have many memorable stays in Mallorca as a result of our recommendations.